The main difference between Basic line and other low cost dental brushes is the choice of material and manufacturing method. 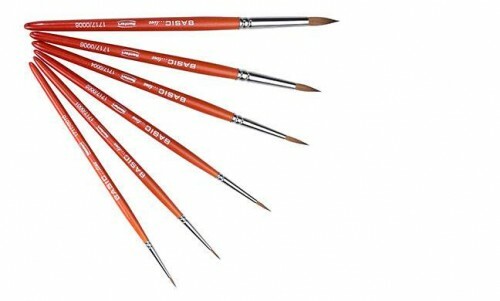 Best quality selection of red sable natural bristles. A high degree of elasticity enables either large or small amounts of porcelain to be lifted. Large water reservoir with even moisture dispensing.